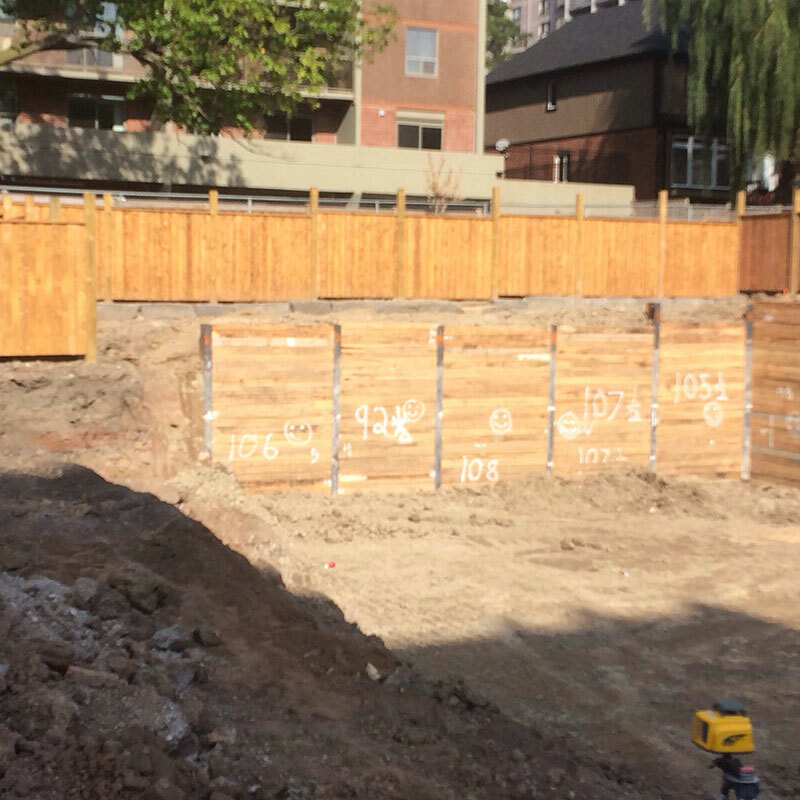 Solder Pile and Timber Lagging in Whichurch-Stouffville - Ideal in situations where excavation is close to existing structures, property lines or other elements. 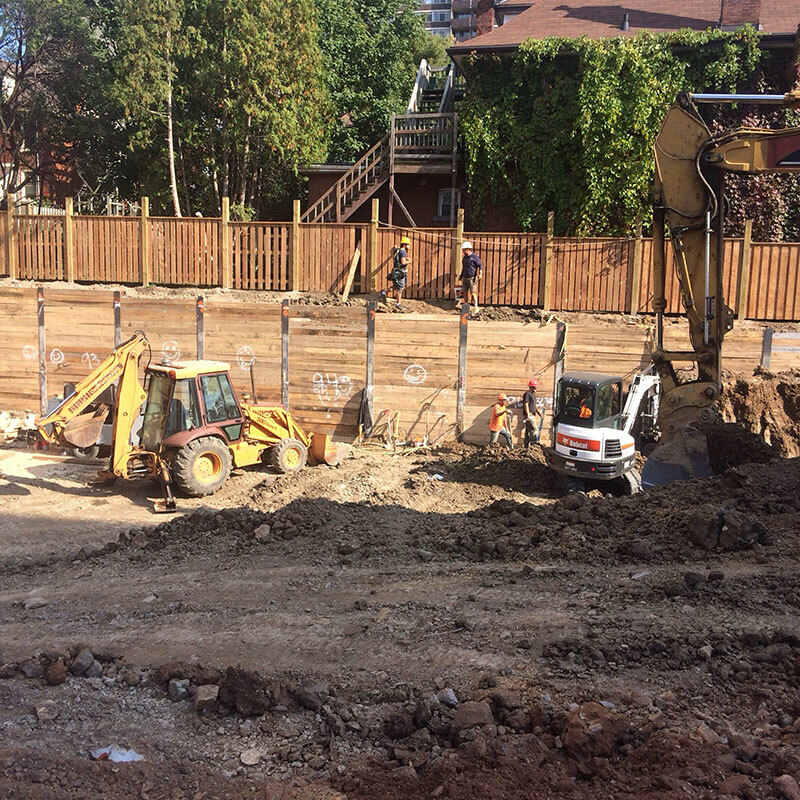 Cochren Foundation is a shoring contractor providing shoring for excavation on residential developments in Whichurch-Stouffville. 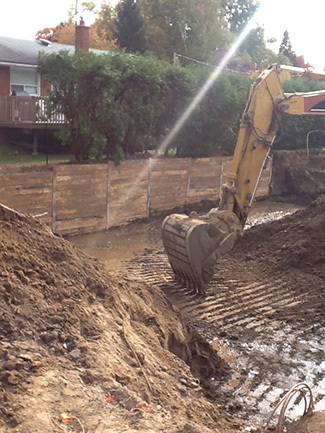 With over 30+ years of residential construction experience in Whichurch-Stouffville, our engineers and staff work efficiently to deliver long-lasting and cost-effective Soil Retention System. 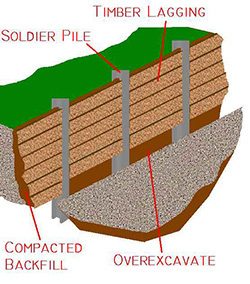 Call Toll Free: 1-888-610-4959 or submit a Contact Form today to talk about your Solder Pile and Timber Lagging project in Whichurch-Stouffville. 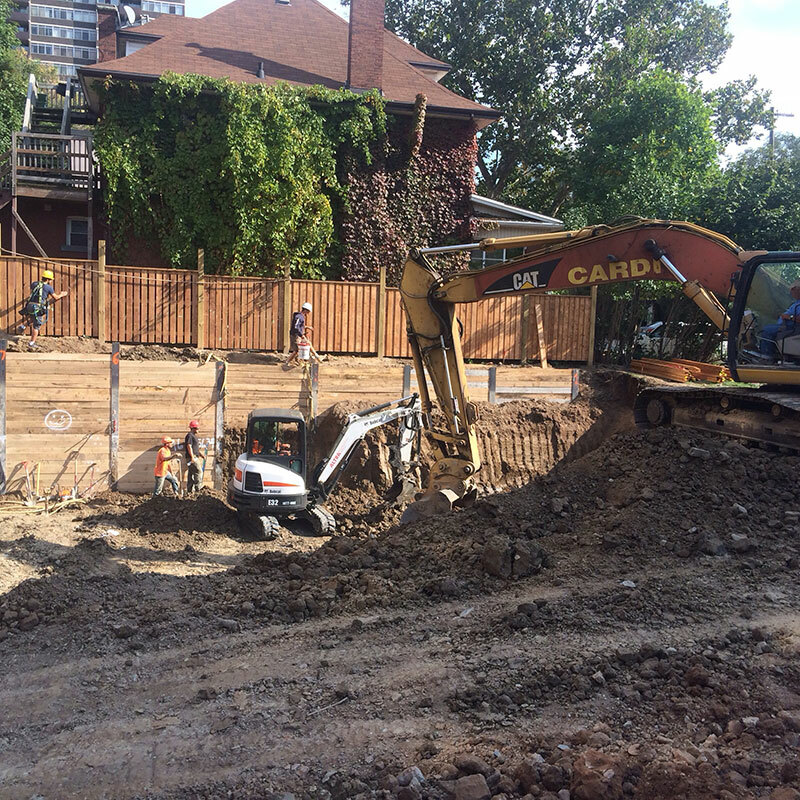 Lagging construction in Whichurch-Stouffville can be very quick. Planning to add outdoor living space to your Whichurch-Stouffville home this year? Why not do it right? Imagine an elevated concrete deck, enclosed with decorative aluminum railing with glass panels. 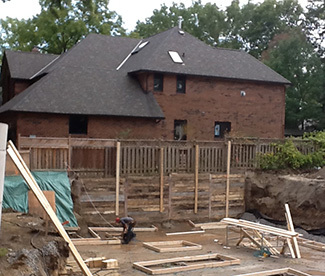 Planning to build an addition to your Whichurch-Stouffville home? Whether is a small 100 square foot or 1,000 square foot addition, we have some new technology for you that will save you time and money! 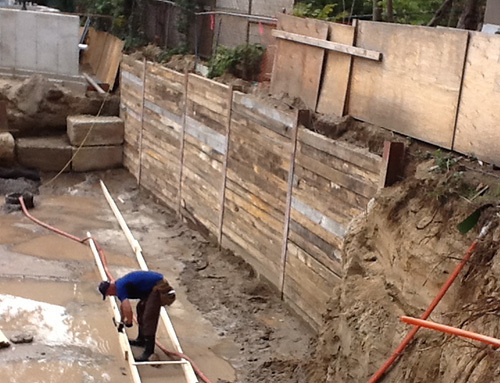 Plan for your premium living space now by upgrading your Whichurch-Stouffville home to include a SMARTBASEMENT™ ... the best foundation waterproofing and drainage system available.